Lexus are keen to get the public’s attention for their Lexus LF-C2 four-seat convertible car concept with a teaser campaign and now a Los Angeles Auto Show debut. This premium sports convertible looks perfect for the West Coast market. 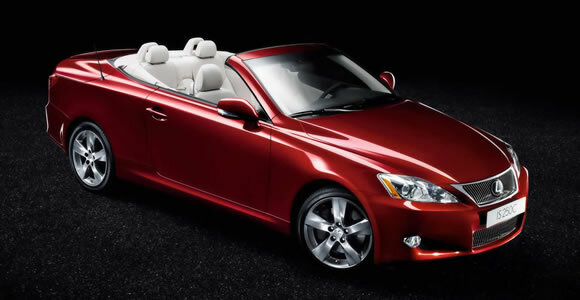 A few lucky british drivers will be treated to a limited edition version of the Lexus IS 250C the brand’s mid size premium convertible. All 50 cars will have a distinctive black and red semi-aniline leather interior and individually numbered badges inside the glovebox. Cadillac appear to be planning a return to the convertible market with a new soft top model.